Greenwashing—[a compound word modeled on “whitewash”] a form of spin in which green PR or green marketing is deceptively used to promote the perception that a company’s policies or products are environmentally friendly. John Muir must be rolling over in his grave. The organization he founded in 1892, the Sierra Club, America’s oldest and largest environmental group, have been in cahoots with the worst of the worst corporations in recent years. They’ve been paid tens of millions of dollars by the fossil fuel industry, tyrannical billionaire mayors and Wall Street in exchange for cleaning (and greening) up their public images. Not only have they acted as a green public relations firm for the bastions of wealth and power, but have also sold out frontline communities most impacted by extractive industry. Corporations rule our world with an unyielding iron fist. They poison and literally explode local communities with fracking and mountaintop removal. They profit off of dirty extractive industry with multi-billion investments. They empower a police state to repress democratic people’s movements drawing a line in the sand against Corporate America. But they also insidiously mitigate the power of grassroots resistance movements with a complicit non-profit industrial complex. Most environmental non-profits actively serve as a buffer zone between our people’s movements seeking real change and a corporate state hell bent on sucking every last bit out of the planet and its people before the impending ecological collapse. In recent years, there has been an expanding critique of the big greens. Corporate executives and the super wealthy occupy the donor rolls and boards of many green non-profits. Organizations like Environmental Defense and Natural Resources Defense Council have actively partnered with the fossil fuel industry in the U.S. Climate Action Partnership, a front group that helped stop climate legislation in 2010. 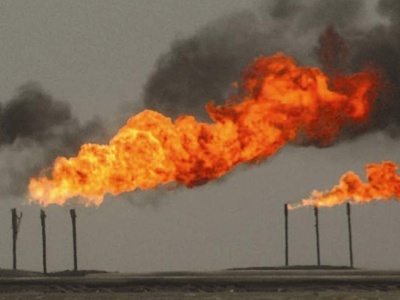 A 2010 expose in The Nation by Johann Hari revealed that Big Oil made large donations for decades to organizations like Conservation International and The Nature Conservancy to negate bad press over human rights and environmental abuses. Essentially, the big institutions of the environmental movement have been bought and sold. Sadly, the Sierra Club which boasts a democratic governance system and a healthy grassroots base of local chapters have become part of the corporate world’s equation for control. They’ve partnered with, and been funded by, natural gas corporations to promote gas as a “bridge fuel.” They’ve taken large donations from New York’s Mayor Michael Bloomberg even as he’s attacked labor unions and Occupy Wall Street (OWS) and released his racist police force to harass and demonize the Muslim community. They’ve even been business partners with the worst of the worst Wall Street banks, Bank of America, in greenwashing schemes to repair the bank’s damaged public image to the environmental community. In an attempt to stem scandal, the Club’s executive director Michael Brune revealed in Feb. 2012 to Time that from 2007 to 2010 they had taken over $25 million in anonymous donations from the natural gas industry. The industry is most known for the environmentally destructive extraction process known as hydraulic fracturing, or “fracking.” Fracking’s methods of extraction from deep gas shale include the burning of diesel fuel and polluting ground water with toxic chemicals. From 2007 to 2010, while local chapters in states like New York and Pennsylvania were fighting these gas companies, former Sierra Club executive director Carl Pope developed a cozy relationship with Chesapeake Energy, a leading gas company. Pope, in fact, toured the country with CEO Aubrey McClendon promoting natural gas as a “bridge fuel” because it burns cleaner than oil or coal. Local Sierra activists were outraged that Pope publicly sold them out to the fracking industry. While Pope partnered with gas companies, a grassroots revolt against fracking began from the Marcellus Shale in the Northeastern United States to the Barnett Shale in Texas to the mountain states. Organizers are fighting it in the permitting hearings and legislatures, municipalities are banning it from their city limits and civil disobedience at corporate offices and drilling sites are growing in frequency. Furthermore, Josh Fox’s Academy Award winning film, Gasland, has sparked a national conversation about fracking that has backed the environmental non-profit complex into a corner. 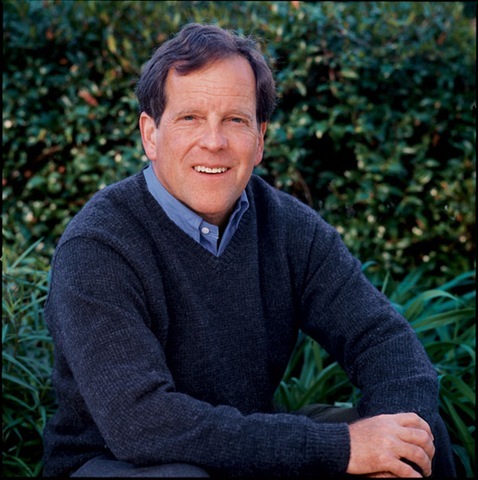 Late in 2011, Carl Pope stepped down from the Sierra Club board citing disagreements with the direction that Brune, former director of Rainforest Action Network, was taking the Club. To Brune’s credit, he ended the relationship quickly after assuming leadership and rejected another $33 million from the frackers, But as an institution they have been compromised on this important issue and seen as very out of step with the grassroots on this issue. 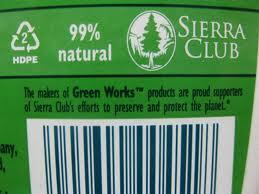 The fracking industries aren’t the only ones with a cozy relationship with the Sierra Club. Last June, New York City’s billionaire mayor Michael Bloomberg had his philanthropies donate $50 million to the Sierra Club’s coal campaign. Another corporate donation negotiated by Carl Pope has turned Bloomberg into the darling of the liberal green establishment. Empowered by nation-wide right wing attacks trying to roll back one hundred years of social progress, Bloomberg has worked to shrink government on the backs of the city’s working class and unions. Through his entire reign as “King of New York,” Bloomberg has fought to privatize or “reform” labor rights including pensions, wages and health care. In January 2012, Bloomberg in his annual state of the city address took aim at the teachers’ union by seeking to bypass their right to collectively bargain for employee protection, wages and bonuses. He further spreads lies and misinformation claiming that labor unions “hijacked” Occupy Wall Street in attempts to create wedges between labor and grassroots radicals. While climate change is an urgent issue, so is repression of worker and radical democratic movements, as well as racist attacks on Muslims. The Sierra Club is seen has a progressive force by many liberals in the US, yet greenwashing right wing politicians for big bucks doesn’t seem too progressive or productive. Despite publicly touting their role in shutting down hundreds of coal fired power plants, the Sierra Club continues a long standing financial relationship with the largest funder of coal in the US—Bank of America. The Sierra Club greenwashes Bank of America through an “affinity schemes.” An affinity scheme is a crafty public relations scheme where environmental organizations have their members get green branded credit cards through Bank of America. With every purchase, they make a donation to a good cause, a small profit for Bank of America and a public image coup for a bank under fire from everything to foreclosures to mountaintop removal to massive employee layoffs. The Sierra Club is far from alone in this scam; Credo Mobile/Working Assets, Defenders of Wildlife, The Nature Conservancy, National Wildlife Foundation and The Wilderness Society all have Bank of America affinity schemes. According to Rainforest Action Network, Bank of America has the biggest portfolio of coal projects that harm public health and destroy the climate. In 2009-2010, the coal industry received $3.9 billion in underwriting and corporate loans from Bank of America. It is involved in every step of the coal cycle. It regularly underwrites billions to the industry, including hundreds of millions of dollars in loans to Arch Coal and Peabody Energy—the two biggest coal mining companies in the country. They also underwrite billions every year to coal-heavy utility corporations, such as Southern Company and Edison International. 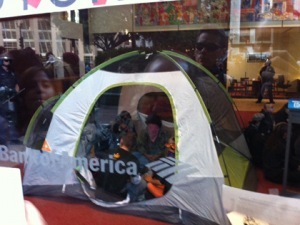 They are also the largest forecloser of homes in US and have laid-off tens of thousands of employees in recent years. For over a decade, Bank of America has worked to green their image through putting recycling in their offices and branches, building LEED certified buildings and has even gone as far to make false promises around climate and extraction investments to get pesky environmentalists off their backs. By far, their biggest greenwashing investment is the billions of dollars they spend supporting the charitable causes of the non-profit industrial complex. Meanwhile their coal financing portfolio makes them the biggest funder of coal in the US. The Club’s tough talk on the coal industry and growing anti-corporate rhetoric coupled with their affinity for Bank of America stinks of rank hypocrisy. Mistakenly, many see organizations like the Sierra Club as the left flank of the environmental movement, but their collusion with Wall Street and the extraction industry dispels that myth. While the grassroots environmental and climate movements increasingly rise up against the one-percent, the environmental non-profit complex follows the direction of corporate donors. Climate impacted communities have long viewed big green groups as another buffer between corporations and the frontlines. As author Naomi Klein so aptly observed at the end of Copenhagen climate talks, “A particular model of dealing with climate change is dying.” The failures of this “particular model” as exemplified by NGOs like the Sierra Club who has grown all too cozy with corporations and the political establishment has undermined our democracy, our frontline communities and efforts to fight Wall Street. It’s time for the environmental left to realize where the lines are drawn in the coming years. Red Emma is a spirit as old as the mountains, hills and forests of North America. She fought for liberation in Bacon’s Rebellion and King Phillip’s War, rose up with Nat Turner, stood with the martyrs at Haymarket, loved Sacco and Vanzetti, threw bricks at Starbucks windows in Seattle and has been camped out at Zucotti Park and Oscar Grant Plaza since September. Thanks, really informative. And thanks Red Emma, what a great name and spirit! I just joined my local Sierra Club, thinking that on the local level they DO get like-minded people together and support some local fights… maybe misguided? On our Sierra retreat this January, we saw the film Gaslands and four of us Sierrans showed up to speak at Cincinnati Council hearings on the formation of gas and electricity buying groups opposed to fracked gas. Martha Stephens again. I can only say I’m disturbed by what EarthFirst has revealed about Sierra officers. Our own club members in Cincinnati are good and true environmentalists, I believe, and we were immensely disturbed last month by the film Gaslands about fracking, which was shown at our retreat. We testified about such concerns at our local Council hearings. We hope, with Council’s assistance, to help bring about buying groups, or gas and electric aggregations, that would decide for themselves what kind of fuel to use in our homes, not leave it up to Duke Energy. These groups were approved by voters last November, and a progressive Council we helped to elect seems to be with us in the forming of responsible aggregations. If we Sierrans need changes in our national organization — so be it. Thank you for a great piece. My community is fighting a proposal for the largest coal plant in the state of Virginia–15 miles from the Chesapeake Bay. Sierra Club doesn’t have one person working on this campaign. Shoot, I can’t even get an email back from the state director telling me if they’ll be attending upcoming public hearings…..less than an hour from their offices. 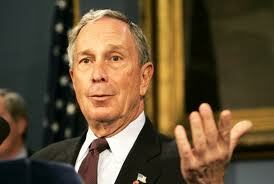 Bloomberg’s money certainly hasn’t trickled down to us. Instead, me and my neighbors continue to receive mail asking US to give money to the Sierra Club. This is so ironic, since I just got an envelope from them in the mail today pestering me to become a member. I wasn’t planning on joining anytime soon but I never will now. Red Emma, you really do have a talent for the non sequitur. I did not renew my Sierra Club membership when all I saw was “Kudos to Obama!” on their editorial page and the most severe criticism, even after stunning defeats on nuclear and smog regulations, was we would still support Obama but maybe with slightly less enthusiasm. Very insightful and informative article. Unfortunately, another Sierra Club sellout is occurring today in the desert southwest. Billion dollar corporations have bought the silence of environmental organizations about the destruction of pristine desert lands to build industrial scale alternative energy projects. Old growth ironwoods, yuccas, and threatened species like the desert tortoise are being unnecessarily destroyed for these projects. There is an easy alternative to this waste of desert — placing many smaller solar projects on rooftops and near the cities on already disturbed lands — but that would not be as profitable for these corporations. The website solardoneright.org gives more information. As much as John Muir loved desert places like the Painted Desert and the Petrified Forest National Park, he would have quit the Sierra Club for sellouts like this. Thank you Kevin. You are sooo right. I knew there was a problem when they worked with the Building Industry to pass SB 375 which single handedly killed the CA environmental quality act…the most important piece of legislation we have ever had. Thank you . You are sooo right. I knew there was a problem when they worked with the Building Industry to pass SB 375 which single handedly killed the CA environmental quality act…the most important piece of legislation we have ever had. I confronted them on it multiple times on facebook and they blocked me from making any comments on their page. Any non-profit that silences critics….that are avid environmentalists is a problem. They also refuse to stand up to the building industry. I mean what is a bigger threat to the environment than developers? Did people see that San Francisco just sold off state park land to a developer? Not a peep from Sierra Club. This is bad. We have to stop giving them money. Unfortunately I think other groups like Environment California are the same. I can tell by looking at their campaigns. The Sierra Club had virtually NOTHING going on in their campaigns section. I mean seriously there are a million battles to wage and you guys have nothing? And the campaigns they do have are shill campaigns that are about helping big business not the environment. Pass this on!! This is the most important article Ive read in a long time!!!! !